Now that I've been working at beautystoredepot for over two years now, not only am I hooked on all of our products, but so is my family! Today I wanted to share with you my family's favorite beauty products. My mom is usually looking for products to target fine lines, wrinkles, and oily skin. She's also a big fan of hand and nail care products. Her go-to anti-aging products are iS Clinical Youth Complex, Dermalogica AgeSmart Skin Perfect Primer and her Clarisonic. She's been using Youth Complex and Skin Perfect Primer for over a year now, and always has some extra as her backup stock. I just recently introduced her to Clarisonic. 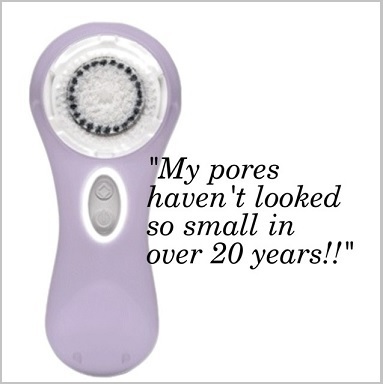 After trying her Mia 2 for just a few days, she called to tell me that her pores haven't looked so small in over 20 years!!! Not only did it make me happy that I could give her that incredible gift, but I always love to hear success stories of our products. Some of her other new favorites are gloMinerals gloPressed Base and One Minute Manicure. My mom has always struggled with oily skin and hates that middle of the day "oil slick." She had been using a loose powder foundation, but after trying a sample of the gloPressed Base, there's no turning back! She loves the coverage it gives her while it helps control excess oil. Since she loves nail care products, I just had to get her some One Minute Manicure. It exfoliates, moisturizes and nourishes nails, all in one, so it really takes the place of a handful of other products. My sister is always looking for products to control her curly, frizzy, damaged hair. 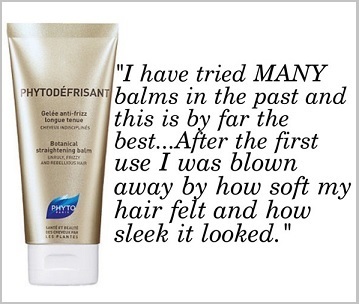 From the first time she got her hands on Phytodefrisant, it has been her #1 product. She says it's a miracle that it keeps her curly hair under control even in Texas humidity. Her ends are also pretty damaged since she blow drys and straightens her hair so often. She recently started using Phyto 9 and has seen a big improvement in her hair's overall health and texture. My sister and I both suffer from two frustrating skin issues - sensitive skin and hormonal acne. Often if she's having a skin issue, I'll let her borrow whatever I'm using and voila!, all better. One of her favorites is Avene TriAcneal. It helps keep hormonal acne under control while preventing new blemishes. It also has anti-aging benefits, and who doesn't want that? Not too long ago, she had told me her face was kinda breaking out but also just seemed really irritated. I had leant her my Avene Hydrance Optimale Light just because she had also mentioned she needed a new moisturizer. Overnight, it cleared whatever was bothering her skin and is now her go-to daily moisturizer. I love passing on beauty tips and recommendations to all my friends and family. Do you need any product recommendations? We're always here to help - just leave a comment on this blog! Besides tips, you know we love to pass on savings!!! For a limited time, enjoy our Friends and Family Sale! Save $10 on any order $49 or more. Just use code FRIEND in your shopping cart!